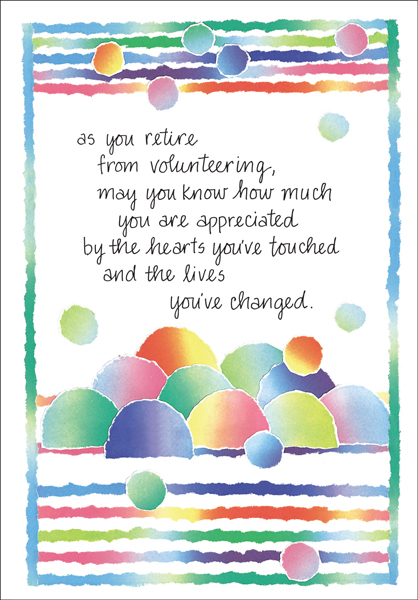 When a special volunteer retires, you want to let them know how much they�ll be missed. 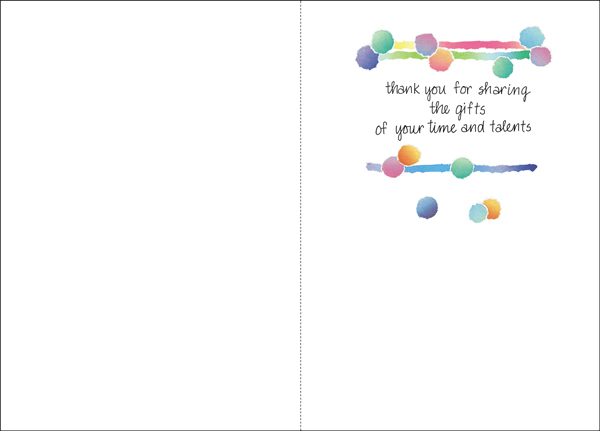 This colorful design will tell the recipient their time volunteering has been greatly appreciated and will not be forgotten. Front: as you retire from volunteering, may you know how much you are appreciated by the hearts you,re touched and the lives you've changed.